Gain a more in-depth knowledge of the vast Spanish history as you stroll through Madrid. Travel into the past to understand the present political situation of the country. Visit important monuments and emblematic buildings for a better historical understanding on this private tour! Private tour: only you & your local host! To fully understand the present of Spain, it's a must to know more about Spanish history. Through the centuries it has been molding the current historical and political situation of the country. Want to know more? 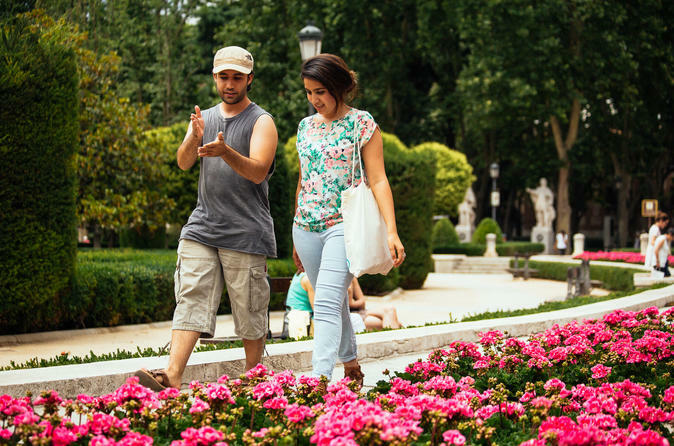 Your host is a local sociologist with plenty of knowledge to share and he'll share with the best insights into the history of Spain on a private tour through Madrid. Join this historical journey around the last 2 centuries of Spanish history from a political view. Talk about the Spanish Independence war, civil wars, kings & queens, republics, terrorist attacks and the new political movements that are appearing in Spain right now. Visit the main squares with important historical value and emblematic buildings that are an important part of Spanish history.